Dr. Vesselin Bontchev was born in Varna, Bulgaria. He graduated from the Technical University of Sofia in 1985 with an M.Sc. in computer science (systems programming). He worked for the university's Laboratory for Microprocessors and Microcomputers and for the Institute of Industrial Cybernetics and Robotics at the Bulgarian Academy of Sciences, building expert systems. In 1988, he became interested in computer viruses and began producing freeware anti-virus programs. Two years later he became the Director of the Laboratory of Computer Virology at the Bulgarian Academy of Sciences. From 1991 to 1995 he worked as a research associate at the Virus Test Center, University of Hamburg, Germany, where he wrote his Ph.D. thesis on computer viruses. Since 1990, Dr. Bontchev has been the Bulgarian representative in IFIP's TC-11 ("Computers & Security"). He is also a founding member of CARO (the Computer Anti-virus Researchers' Organization) and a founding member of VSI (the Virus Security Institute). 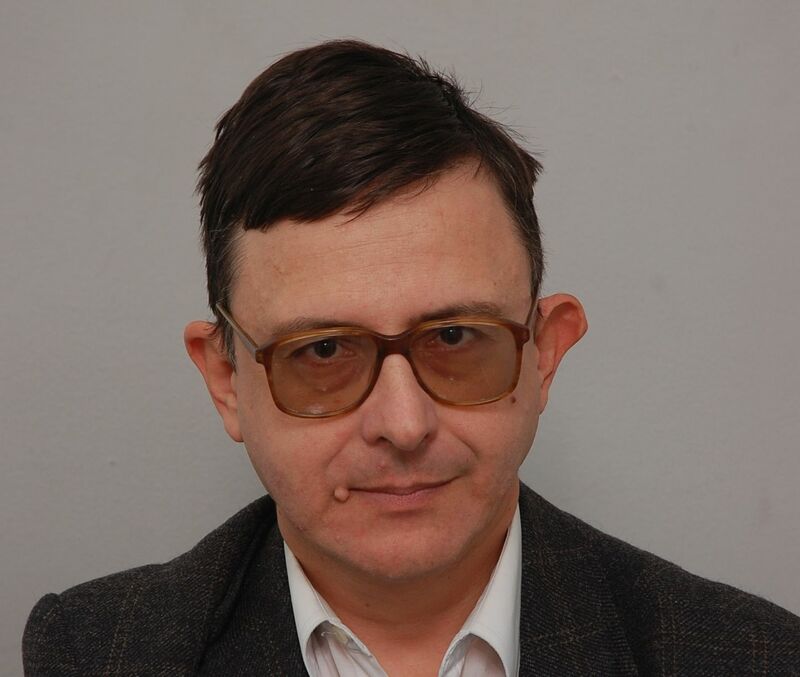 Between 1995 and 2011 Dr. Bontchev worked for FRISK Software International in Reykjavik, Iceland, where he was involved in the development of the anti-virus package F-PROT and specialized in macro virus research. Dr. Bontchev presently works at the National Laboratory of Computer Virology at the Bulgarian Academy of Sciences in Sofia, Bulgaria. Outside the field of computer anti-virus research, his interests include cryptography and number theory - he has been a member of the International PGP development team and is participating in the Great Internet Prime Search project. Dr. Bontchev is a Technical Advisor for "Silent Runners.vbs" - use it to find out what starts up with Windows! He is also fascinated by the underwater life, as can be seen here. [Bontchev91a] Bontchev, V., The Bulgarian and Soviet Virus Factories, Proc. 1st Int. Virus Bull. Conf., 1991, pp. 11-25. [Bontchev91b] Bontchev, V., Brunnstein, K., Swimmer, M., Computer Anti-Malware Certification. A Proposal, Proc. 1st Int. NCSA Anti-Virus Product Developpers Conf., 1991. [Bontchev92a] Bontchev, V., Possible Virus Attacks Against Integrity Programs and How to Prevent Them, Proc. 2nd Int. Virus Bull. Conf., 1992, pp.131-141. [Bontchev92b] Bontchev, V., Brunnstein, K., Jahn, W-D., Methods and Requirements for Quality Assessment of AntiVirus Products, Proc. 1st Annual EICAR Conf., 1992. [Bontchev92c] Bontchev, V., Made in Bulgaria, Virus News International, July, 1992, pp. 41-46. [Bontchev93a] Bontchev, V., Analysis and Maintenance of a Clean Virus Library, Proc. 3rd Int. Virus Bull. Conf., 1993, pp. 77-89. [Bontchev93b] Bontchev, V., MtE Detection Test, Virus News International, January, 1992, pp. 26-34. [Bontchev94a] Bontchev, V., Future Trends in Virus Writing, 4th Int. Virus Bull. Conf., 1994, pp. 65-82. [Bontchev94b] Bontchev, V., Are ‘Good’ Computer Viruses Still a Bad Idea?, Proc. EICAR’94 Conf., pp. 25-47. [Bontchev96] Bontchev, V., Possible Macro Virus Attacks and How to Prevent Them, Proc. 6th Int. Virus Bull. Conf., 1996, pp. 97-127. [Bontchev97a] Bontchev, V., Macro Virus Identification Problems, Proc. 7th Int. Virus Bull. Conf., 1997, pp. 175-196. [Bontchev97b] Bontchev, V., Veni, Vidi, Vicis?, Virus Bull., October, 1997, pp. 10-11. [Bontchev98a] Bontchev, V., The Pros and Cons of WordBasic Virus Upconversion, Proc. 8th Int. Virus Bull. Conf., 1998, pp. 153-172. [Bontchev98b] Bontchev, V., No Peace on the Excel Front, Virus Bull., April, 1998, pp. 16-17. [Bontchev99] Bontchev, V., The WildList - Still Useful?, Proc. 9th Int. Virus Bull. Conf., 1999, pp. 281-287. [Bontchev2000a] Bontchev, V., Solving the VBA Upconversion Problem, Proc. 10th Int. Virus Bull. Conf., 2000, pp. 273-299. [Bontchev2000b] Bontchev, V., Latest Macro Virus Developments and Future Trends, Proc. 1st AVAR Conf., 2000, Tokyo, Japan, in print.